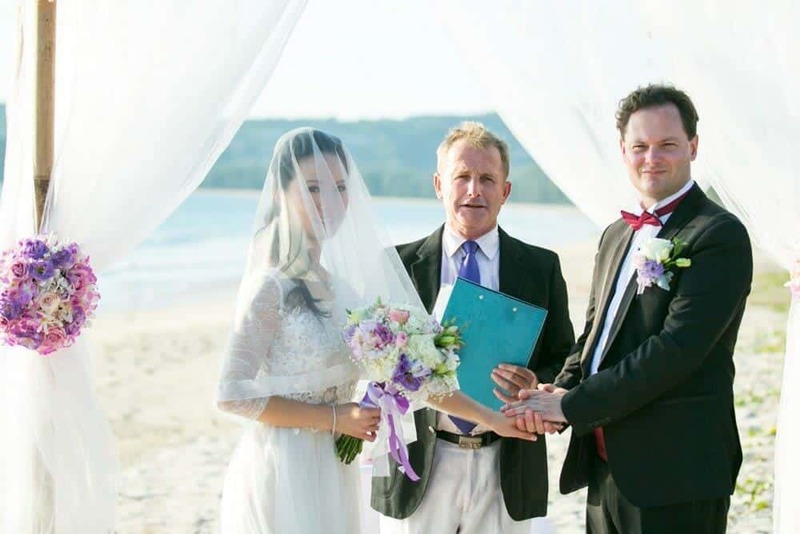 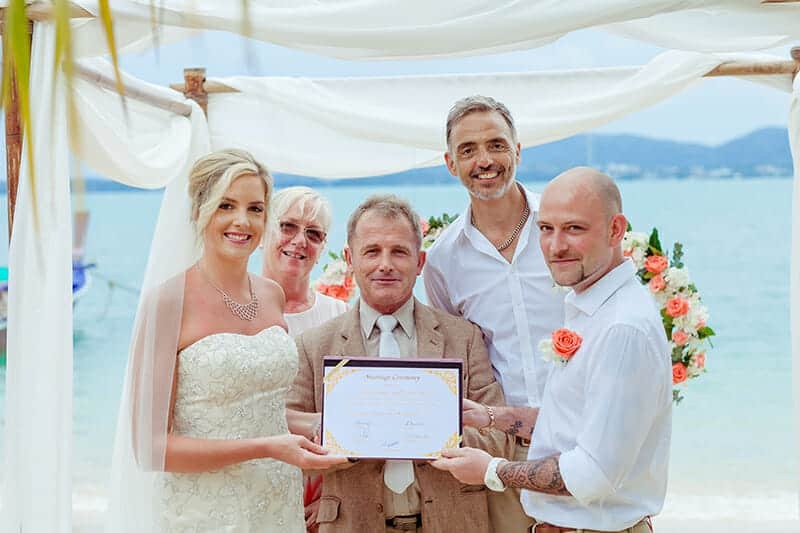 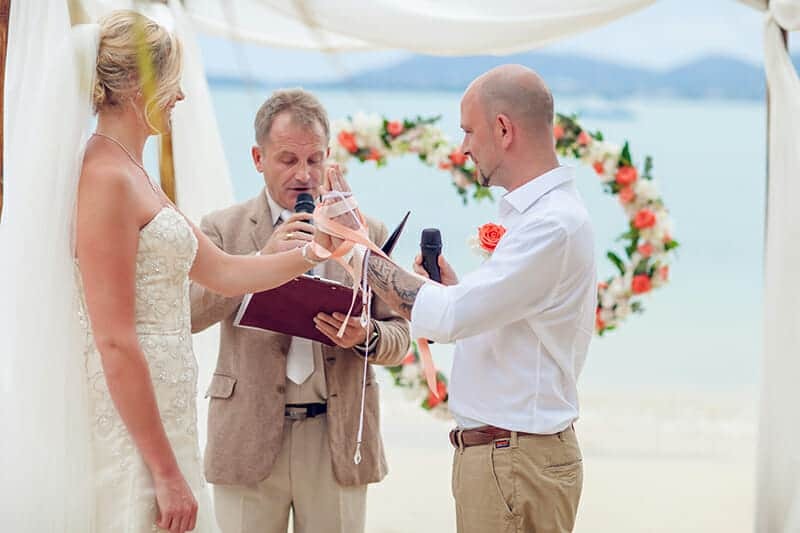 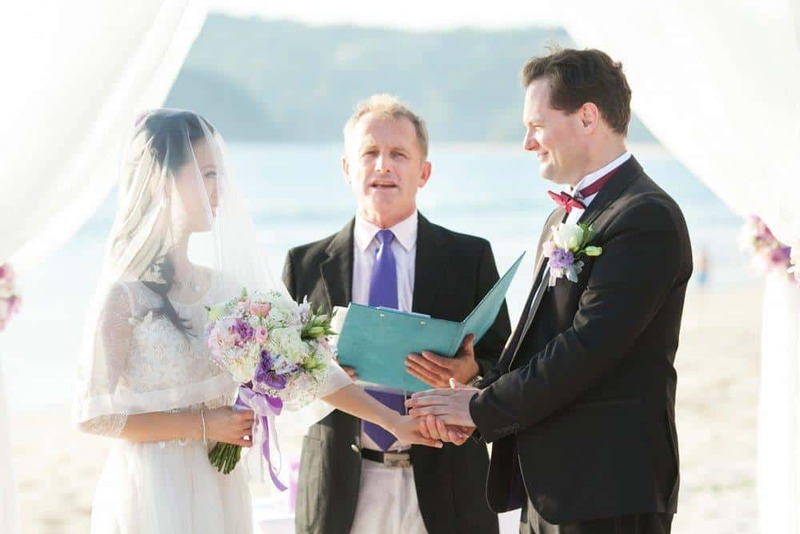 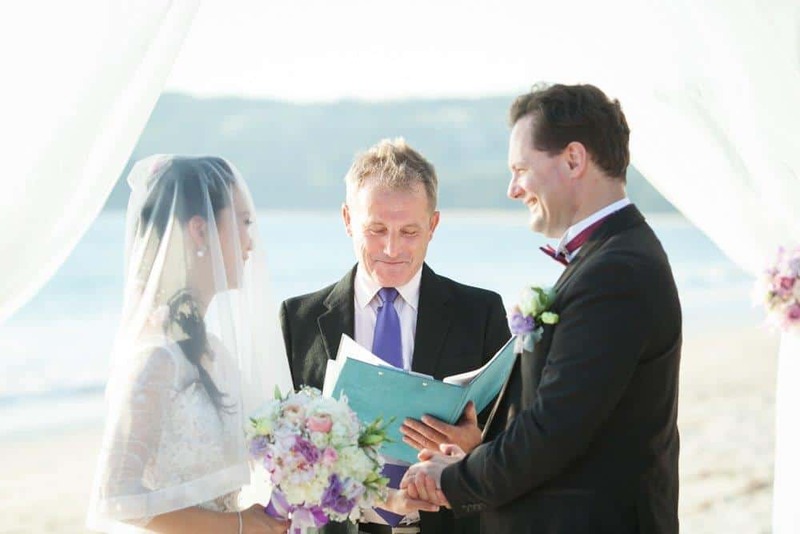 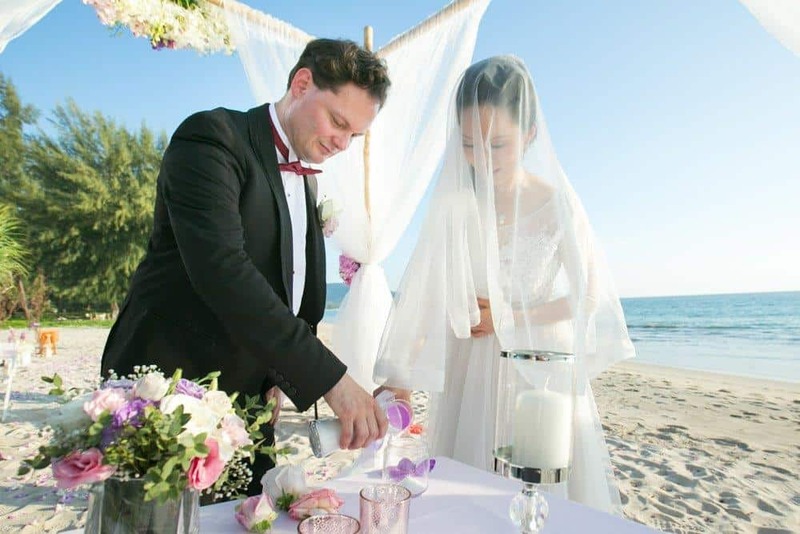 Phuket April Weddings – A busy “lucky” month for Marriage? 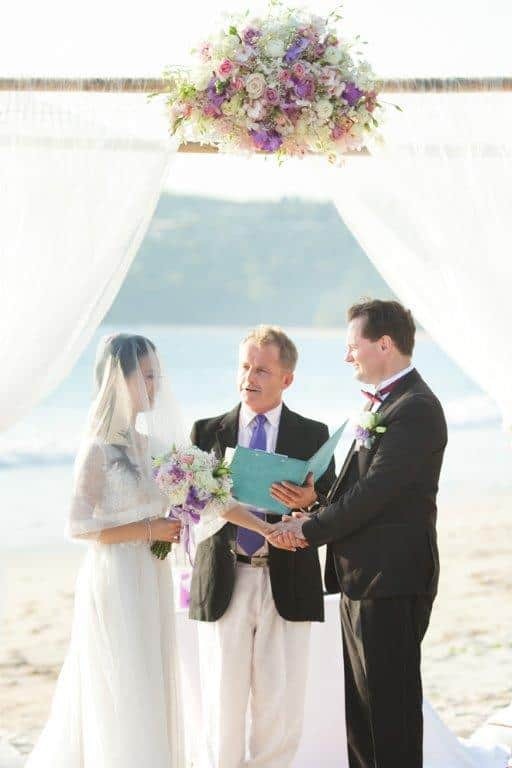 Marry in April when you can, Joy for maiden and for man……..
April because Lent is over and the earth is re-awakening, and the world seems full of the songs of birds and the sweet spring blossoms, and the lovers’ hearts echo a responsive thrill to the gladness of Nature. 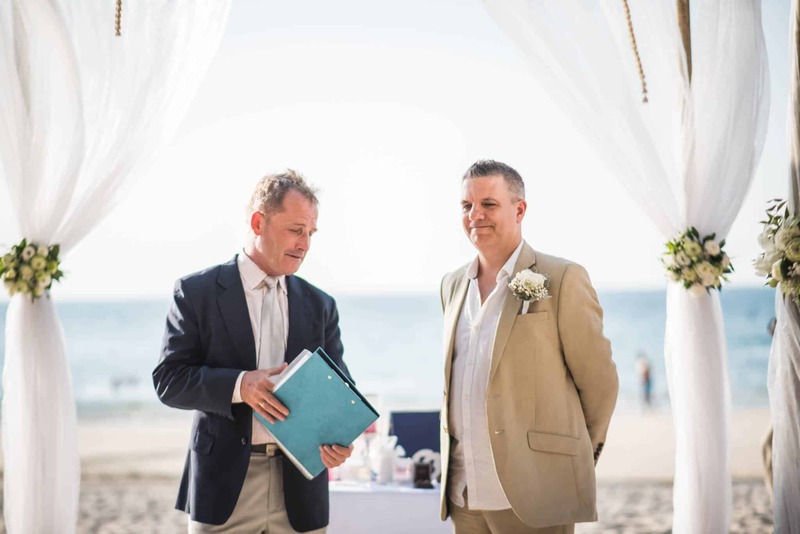 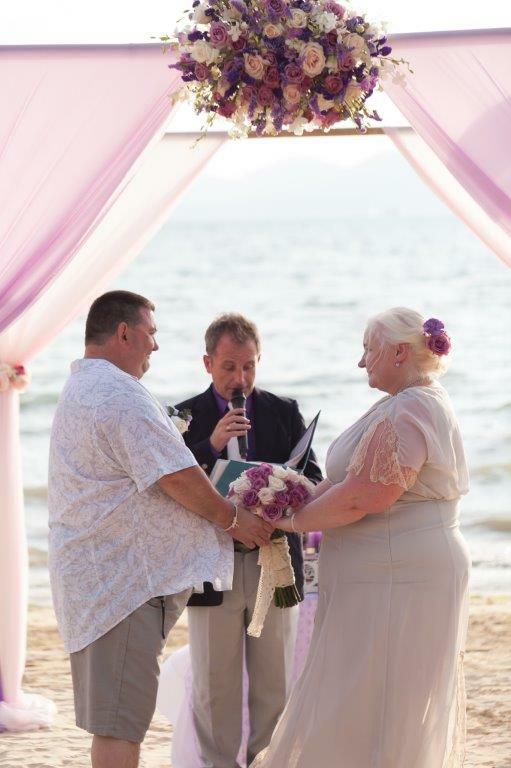 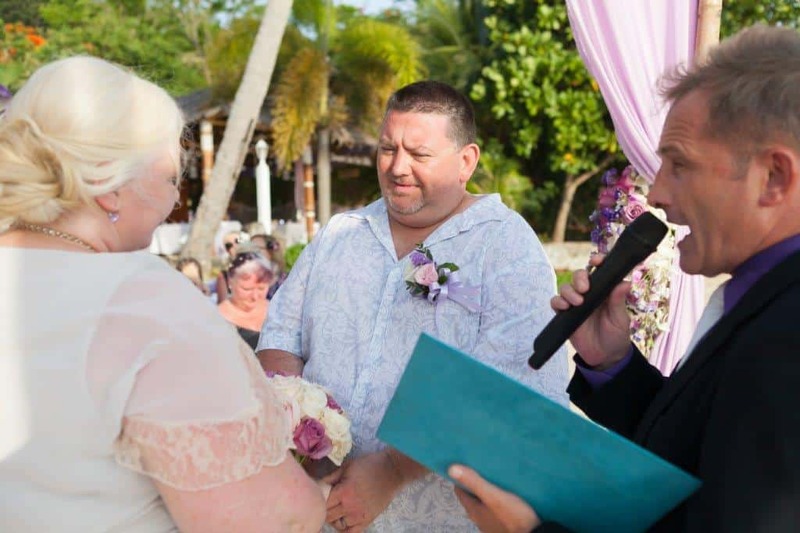 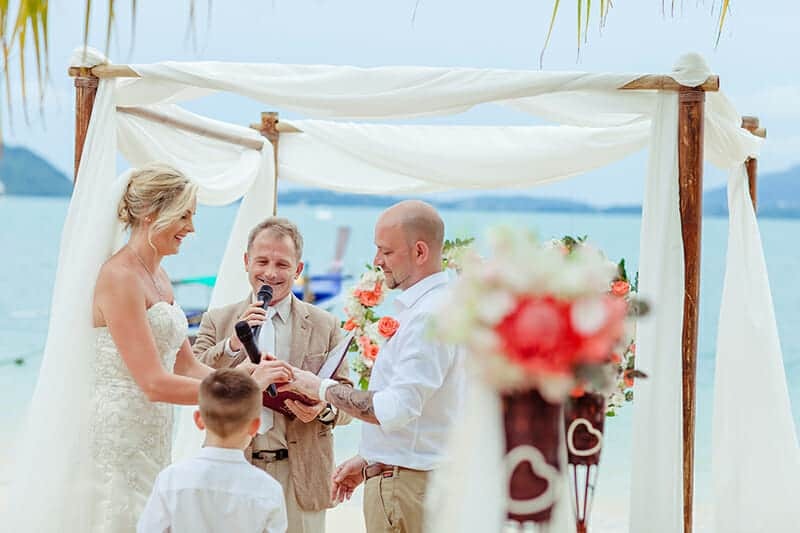 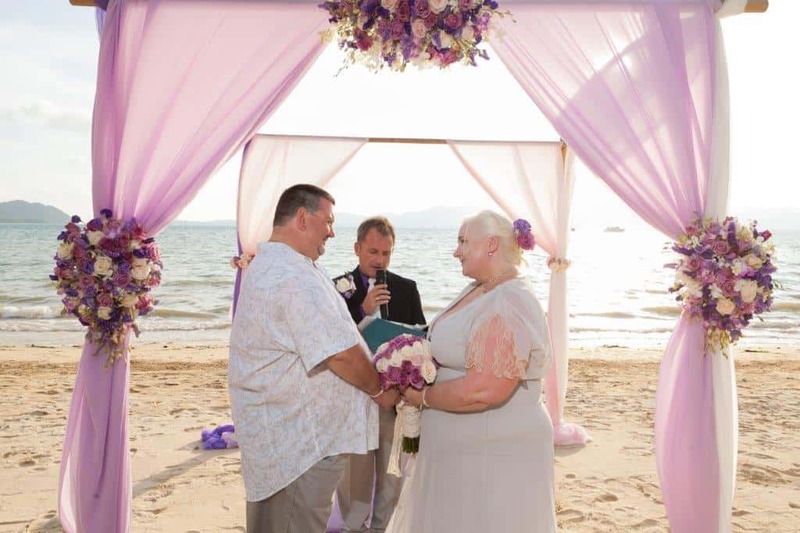 It was my privilege to be asked to help Celebrate their Special Day for the three Beach Weddings and one Beach Wedding Vow Renewal after 20 years of marriage. 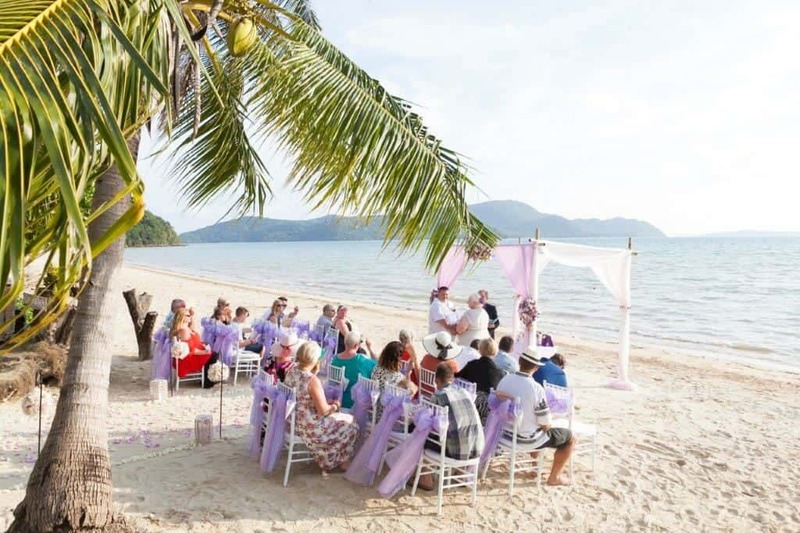 The happy couples were; Shane & Lianne, Nick & Charmaine, Shane & Elaine and Faisal & Alyssa. 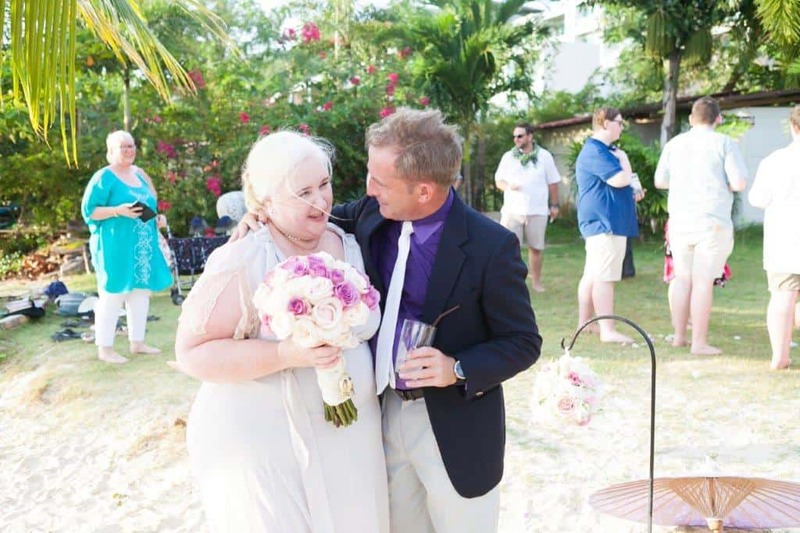 It was my pleasure meeting you and helping you all make your day so memorable. 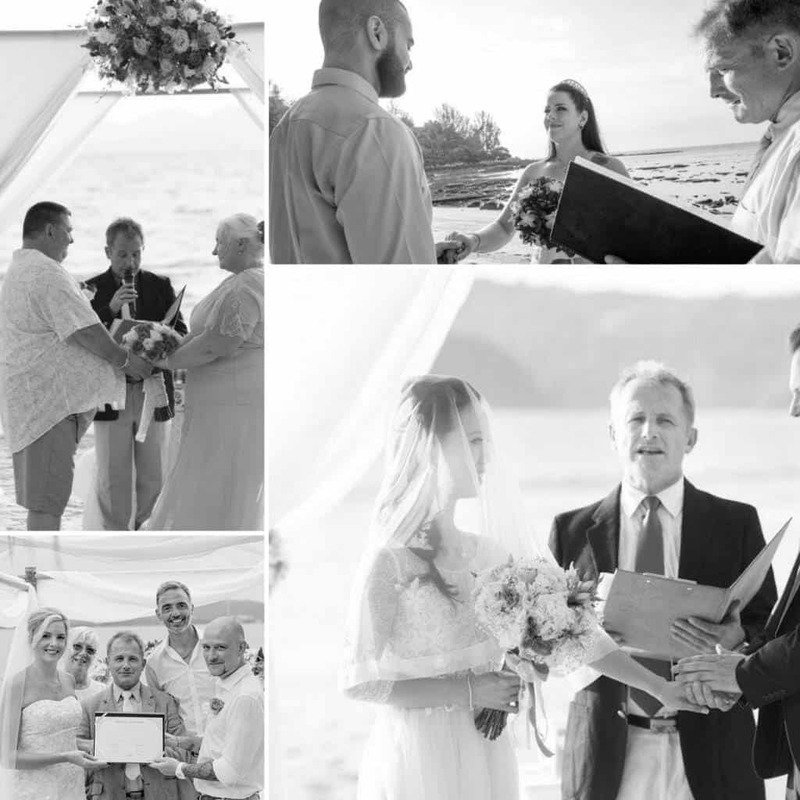 Some of these Weddings had been in the year planning and some had only taken a few weeks. 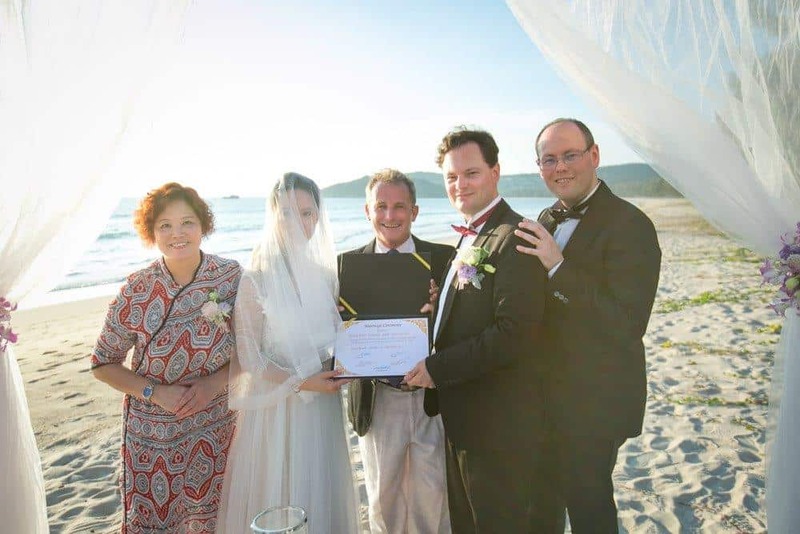 The Unity Sand Ceremony was popular (with beautiful variations to remember loved ones not here or unable to travel) and I was also asked to perform the Hand Fasting Ceremony and “Tying the Knot”. 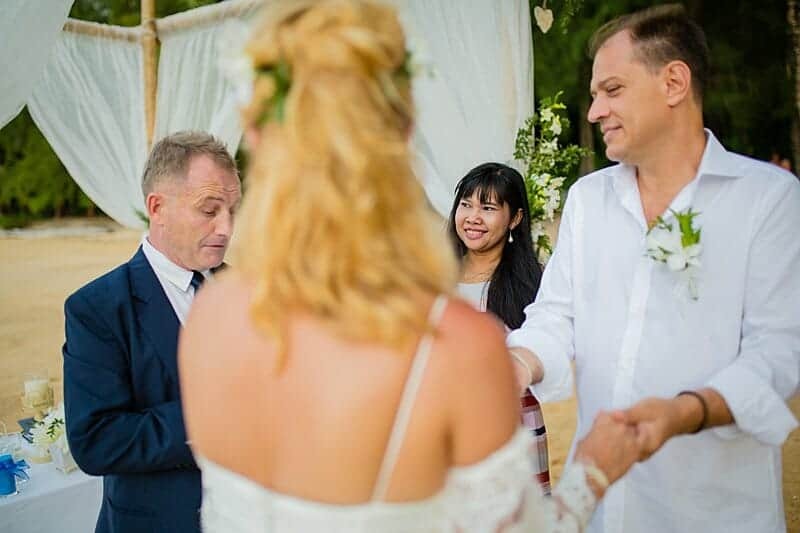 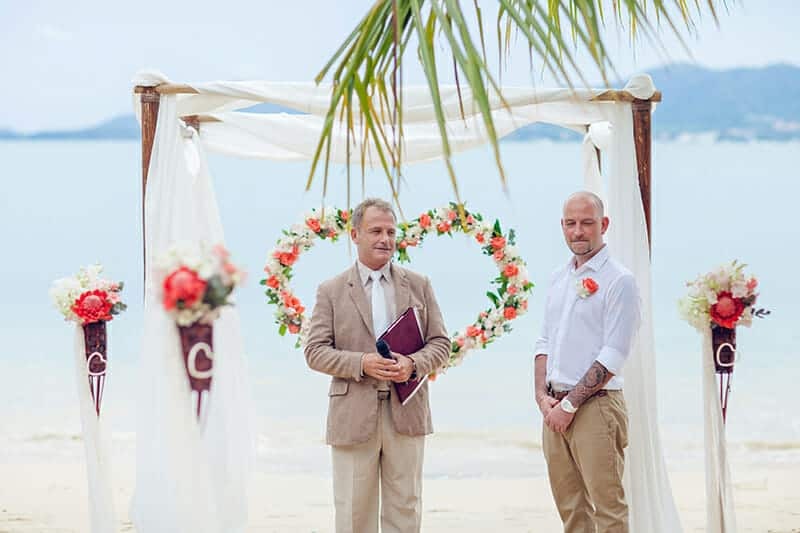 So anything is possible when planning your Phuket Destination Wedding and, like the couple themselves, it is Unique and personal. 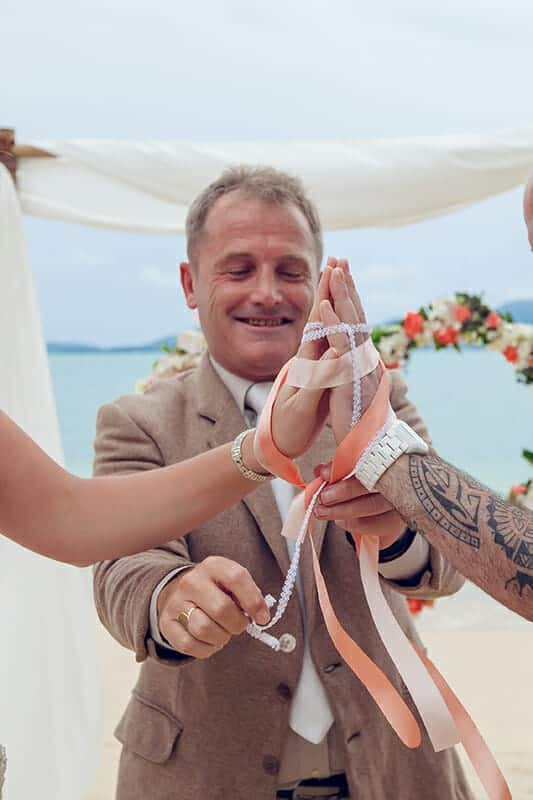 I will look forward to the next April but in the meantime my positive thoughts and best wishes for these wonderful couples and a final thank you for trusting me with and an important part of your special day of celebration.